Before you start scratching at phantom flying creatures, the BUG I’m talking about is the UHN Bicycle User Group, a.k.a. the BUG. There are about 800 UHNers that subscribe to this, and it’s a great way to connect likeminded people who enjoy 2-wheels. The BUG is the first to hear about excellent events like Bike to Work Day, Monday May 26, 7-9 AM. BTW, if you sign up for it, you might win a KONA commuter bike. 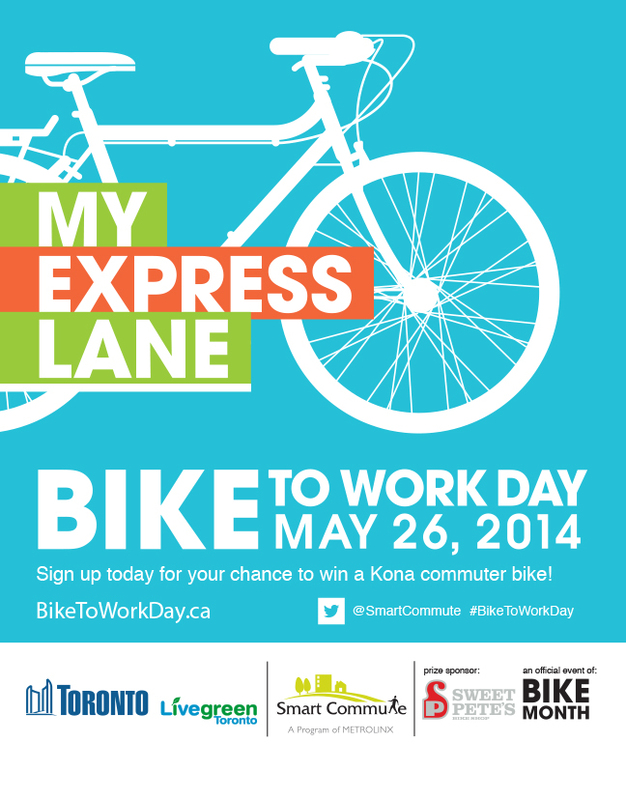 A little more on this event, while we’re at it…join the 25th Anniversary of Toronto’s Bike to Work Day Group Commute and Pancake Breakfast. Commuters from around Toronto meet to ride together from start points below and converge at Yonge and Bloor for 7:30a.m. Then we all ride together to Nathan Phillips Square, 100 Queen St. W. Riders get a complimentary pancake breakfast at City Hall (while supplies last), plus lots of cycle-oriented fun stuff. Sign up and be counted! 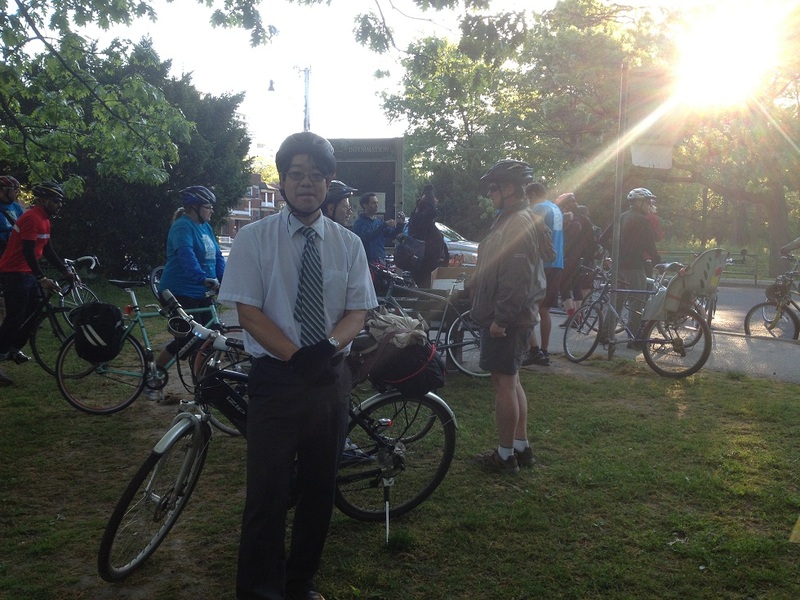 There will be more Bike Month events soming soon, so check back often. And send me a cycle-selfie so you can be featured next time. Email UHNcycling@uhn.ca. You’ll also find other fun stuff on the BUG, like the new City of Toronto App that lets you help build the city’s cycling infrastructure. The Toronto Cycling App is a new, free smartphone application that will enable cyclists to record their cycling routes and provide this data to the City. The City will use this data and other considerations when developing new cycling network plans. If you have an iPhone or Android, you can play. Want to join the BUG and work at UHN? Email us at UHNCycling@uhn.ca. Don’t work at UHN? No problem! Try one of the 112 registered BUGs in Toronto. There’s safety (and fun) in numbers.